Salicylic Acid 1.5%. Alcohol Denat., Water, Methylpropanediol, Glycolic Acid, Diisopropyl Adipate, Octadeceneioic Acid, Hydroxyethylpiperazine Thane Sulfonic Acid, Citric Acid, Capryloyl Alcicylic Acid, Sodium Hydroxide, Polyquaternium-10. I was given this product, along with the Retexturing Activator, by my dermatologist, for my acne. I had moderate acne with inflammation on my cheeks and jawline. I kept taking photos of my face for 3 months to see the difference, and it kept getting worse. At first, I thought it was the purging phase so I was patient. But the acne got worse, I had inflammed red spots everywhere. Even when my face was full of acne (I've never in my entire life experienced such breakouts, by number and the inflammation wasn't getting any better), I continued using it because of all the good reviews I read online and because my derm said she wanted to see me after 3 months, so I decided to give it the time it needed to work. Except that it didn't. It ruined my face completely. I stopped it after 3 months of using it religiously, and when I went back to my previous routine, my face calmed down, but I'm left with scars and red spots everywhere on my cheeks. 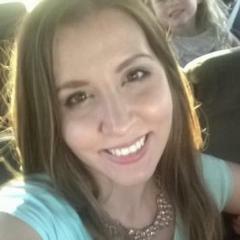 Bottom line, it is the worst product I have ever used for my acne. Horrible experience. Couldn't even go out of the house without foundation, and couldn't look at myself in the mirror. That's how much it was horrible. Let me just say that the very tiny places on my face where I didn't have acne (forehead and chin), the texture of my skin got better, so maybe it's a good product for people who don't have acne, but I don't know why on earth would they recommend it for people having acne. I bought the complete set with the cleanser and toner along with this blemish lotion. After the first application, it broke me out completely.I got acne on my jawline and forehead.As soon as I stopped using it, the acne seemed to settle and I have not got any bumps on my skin since. I continue to use the cleanser sonce its good, but this lotion is way too strong for skin. When i tried to write this review on their website, they said it cannot be published since it does not meet their guidelines. In short, they only publish reviews that are rated 4 stars or higher. Complete waste of money. Hopefully you bought the products from skin ceuticals, as they have a 90 day return policy..... so not really a waste of money then. Also, many people try to buy these products off eBay or Amazon and they are not authentic products so will not work because they are fake. 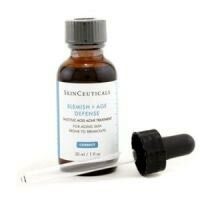 Skin ceuticals lists authorized sellers on their website and most offer a refund. wishing you the best in finding a regimen that works for you! I am 25 years old and my biggest issue is oily skin, large clogged pores and closed comedones. they lend my skin a very bumpy uneven texture and it feels pretty gross when I wash my face. occasionally I get inflammatory pimples, but usually it's when I mess with one of the little bumps. I have had stubborn bumps on my forehead for years even though I use benzoyl peroxide on them twice daily. recently, I got a facial which included extractions and she recommended I try this product to help with congestion. it's expensive so I was skeptical, but go big or go home, right? also, it has alcohol in it which I thought was a big no but I honestly could care less so long as it works. I have been using this morning and night for about a week and a half and my forhead looks clearer than it has since I can remember. it doesn't dry me out, in fact I think it's moisturizing compared to the BP I was slathering on every day. it hasnt burned upon application and doesnt seem to be causing irritation, although my forehead skin is much less sensitive than other parts of my face. the skin looks healthier overall and my bumps either have come to a head(tiny, insignificant uninformed ones) and healed up or just gone away. I did use this on my entire t zone for the first 7 days and while it cleared some stubborn stuff out of the sides of my nose and under my eyes, it made my skin shiny. crazy shiny. like necessary to wash my face a third time in the middle of the day and blot every couple of hours shiny. so, I am currently just applying this to my forhead so I can see if my skin will adjust or if that's just what this product will do on my skin. my sister (who has extremely mild acne, just an occasional tiny pimple) uses this after a gentle unmedicated cleanser as a spot treatment and swears by it. four stars only because of the price. Omg!! Words cannot describe how amazing this product is. I've been on accutane 5 times, and this surpasses accutane 10 fold. I was recommended this by an esthetician after a microdermabrasion, she gave me a sample and when I finished the vile I ran out an bought it. It's very expensive, but so worth it. greatly reduced chin breakouts skin feels overall smoother did not dry out my skin expensive can sting when first applied I am 50 years old, and have had acne since I was 12, off and on. It was bad in my early teens, cleared in my early 20's, only to resurface again as that dreaded "adult acne" in my 30's. I have mostly been limited to chin acne, but this in an of itself has been upsetting to live with, and has caused scarring over the years. Like most on here, I've tried it all. Except accutane, which I simply refused to do because of the side effects and the potential for liver damage. After a particularly bad bout last summer, I went to get a facial and the aesthetician recommended this product, along with the facial cleanser. Well...it was pretty amazing, I will admit. For the first time in a long time, my chin acne was GREATLY diminished!! I'm not going to go so far as to say it cleared 100% or was a "miracle", because I've learned the hard way that there is no "miracle" cure to acne. It just is a battle that, unfortunately, some of us will face for life. But, for me, this product has been the BEST one I've ever used!! It's reduced my breakouts from several cysts every month, to about 2-3 cysts in the last year. And those tend to come to a head quicker and not be quite as big and painful. Plus, this product tends to speed up healing the red mark. As far as treating lines...? Well, I haven't noticed too much of a diminishment in those, unfortunately, but I didn't start using the product to treat lines anyway, so I am OK with that :-) I will say that I also started using Saw Palmetto at about the same time I found this product. This product, plus the saw palmetto standardized extract ( 160mg tab, 3x day) has greatly reduced my breakouts. So, give it a try. Don't expect miracles, people, because you'll always be disappointed if you are looking for a miracle cure for adult acne. It doesn't exist. But, for me.....someone who's tried them all, this product has been the best so far, and greatly increased my confidence around my troubled skin. expensive doesn't work well I don't notice a difference, I often wonder if it even has all the ingredients listed, because other products with similar ingredients work. none made me break out even more. spent almost $200 on the cleanser, toner and serum and i stopped using them. waste of money! save your money. clears skin completely reduces appearance of hyper pigmentation helps with fine lines and aging no initial breakout improves texture of skin price This is the first stuff I have used that actually worked, and I've tried just about everything under the sun from prescription grade medications and topicals, to Dan's regimen, to natural alternatives and Vitamin supplements. So worth the price tag, don't be fooled this isn't your ordinary Salicyclic Acid gel, it contains the perfect blend of acids to exfoliate the skin and increase cell turnover. It contains 2% Dioic Acid, 0.3% LHA, 1.5% Salicylic Acid, 3.5% Glycolic Acid, and 0.5% Citric Acid. Sounds like an awful lot but it never once irritated my sensitive skin and if you follow with a light moisturizer \ you won't even experience flakes and dryness (unlike Retin-A and Dan's BP). How I use: Wash face with a gentle cleanser (I use Yes to Carrots Daily Cleanser), apply 3-4 drops of SC Blemish + Age Defense, wait 30 min, then apply light moisturizer (I use CeraVe). I do this morning and night every day and I haven't had skin this clear since before I started getting acne. Whats great is this product not only treats and prevents acne, but it also helps get rid of the marks that acne leads behind. I can't comment on the anti-aging aspect as I'm only 20 and don't have fine lines yet. But seriously give this a try and wait a couple weeks before you give up because it may not seem like anything is happening but before you know it you will keep waking up without any breakouts on a consistent basis. Hey! Ive been using this for about a week now, do you remember going through a purging period when you first started using this?